The Lotus and the Rose, located in Vienna, Virginia, promotes the healing modalities offered by teacher/facilitator Marybeth Spain. It includes individual sessions, classes, and workshops in two energy-healing disciplines, Reiki and Energy Restructure, as well as in Hypnotherapy and Regression Therapy (or Past-life Regression). In addition, Marybeth teaches private and group classes in meditation and in psychic and spiritual development through the Free Soul Program. Marybeth will assist you in choosing the approach best suited for your situation. Sessions are designed to suit the needs of each client. 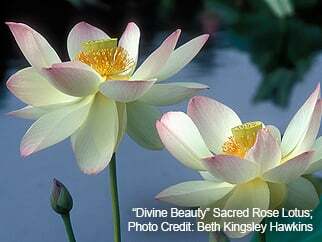 The Lotus and the Rose blends Eastern and Western approaches to healing the body, mind, and spirit. Physical discomfort and/or dysfunction are signs of imbalance in the body’s energy flow, often resulting from mental anxiety or emotional distress. The Lotus and The Rose offers a variety of modalities that reduce the effects of mental, physical, and emotional stress. All are practical, effective, enjoyable, and free of adverse side effects. As with any alternative healing therapy, these services are intended to complement rather than to replace necessary medical care. Whether the pain you’re experiencing is physical, mental, emotional, or spiritual, it affects all dimensions of awareness. I guide you gently and with complete acceptance and focus to ease and release the discomfort at its source. You are your own healer. I merely witness, affirm, and support your process, following my spiritual guidance to help you move through the session. Marybeth under “Contact Us” or by phone at 703 298-2692. Copyright © The Lotus and the Rose, 2017. All rights reserved.